In this episode of The Engineering Commons, our intrepid crew discusses planning, leading and attending the dreaded corporate meeting. 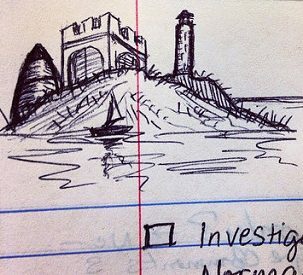 It seems that Brian elects to daydream when in boring meetings, whereas Jeff has been known to doodle extensively. Brian makes a passing reference to the pseudo-science of phrenology, which uses skull measurements to assess human behavior and capability. Carmen’s doodles are apparently influenced by his youth, when he learned to draw the main character from Nickolodeon’s animated television series, Hey Arnold! One of the benefits of a face-to-face meeting is the opportunity to observe the body language and microexpressions of other meeting participants. A 2009 blog post by Y Combinator founder Paul Graham notes the differing costs for managers and makers of attending a meeting. Brian notes a recent story arc, from the television series Silicon Valley, in which engineers solved a technical problem that was of little importance to their customers. Our first key to running a good meeting is have a purpose. Second, it is important to invite the right people. Third, keep the meeting on topic. Fourth, start the meeting on time. Fifth, take meeting notes and distribute them afterwards. Sixth, assign action items, including deliverables and due dates. Jeff mentions a video about holding 22-minute meetings. Thanks to Gavin St. Ours for use of the photograph titled “A doodle from my meeting notes.” Opening music by John Trimble, and concluding theme by Paul Stevenson.